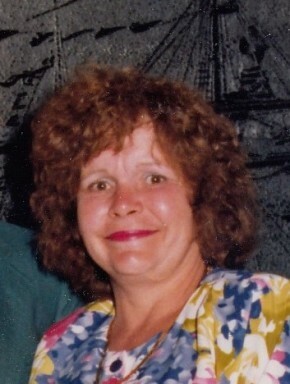 Judith A. Pax of Warwick, NY, formerly of Union and Bayonne, NJ, passed away on March 23, 2019. She was 79 years old. She was predeceased by her husband, George Pax, Jr. and first husband, Lloyd Rosengrant. Born February 27, 1940 to the late John F. and Arla (nee Jones) Hevers in Scranton, PA.
Judith is survived by her children: Dennis & Elvira Rosengrant and their daughter, Danielle of Mine Hill, NJ, Linda & Thomas Matousek and their children Megan and Matthew, and great grandson Jacob Dewire of Tamaqua, PA, William and Mary Rosengrant and their children Edward, Michael, Thomas, and James of Warwick, NY. Judith also leaves behind a sister, Nancy Moore and her husband John of Orlando FL. and a brother, John D. Hevers and his wife Carol of Jefferson Township PA, along with numerous nieces and nephews, extended family, and friends. She was a true NY Giants fan and animal lover who will be greatly missed by her favorite cats, Eli and Peyton. Visitation will be held on Wednesday March 27, 2019 from 2-4 pm and 7-9 pm at Lazear-Smith & Vander Plaat Memorial Home, 17 Oakland Avenue, Warwick, NY. A Funeral Service will be on Thursday at 10 a.m. at the funeral home. Interment will follow in Gate of Heaven Cemetery, East Hanover, NJ. At the time of funeral service we commemorate and reflect on the life of Judith A. Pax. In the days, weeks and months ahead it will be a comfort to family of Judith A. Pax to continue to remember a life well lived. Please select a date on the Calendar of Care to be reminded via email to reach out and continue the caring for family of Judith A..